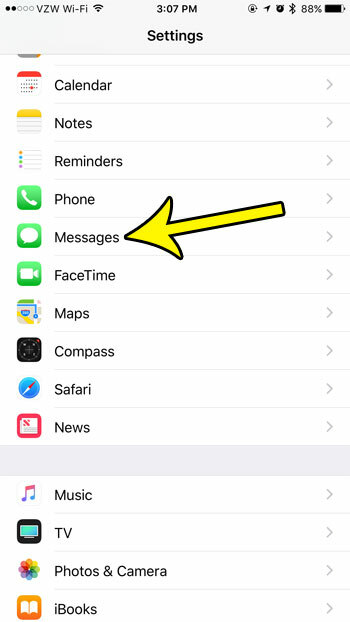 If you’re like me, then you spend a lot more time in the Messages app on your iPhone than the Phone app. Text messaging has become an increasingly popular way to communicate, both in personal and business relationships. Unfortunately this leads to situations where your text message conversations can be taking up a surprising amount of space on your iPhone, especially if you send a lot of picture messages. 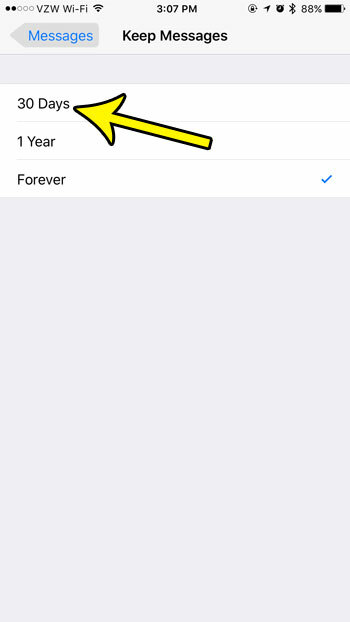 You may go through and clear out old conversations periodically, but you can actually take advantage of a setting on the iPhone that will take care of this for you. Our tutorial below will show you where to find a setting that will let you choose to delete old messages after thirty days or a year so that you no longer need to manage them manually. The steps in this article were performed on an iPhone 7 Plus in iOS 10.3.3. 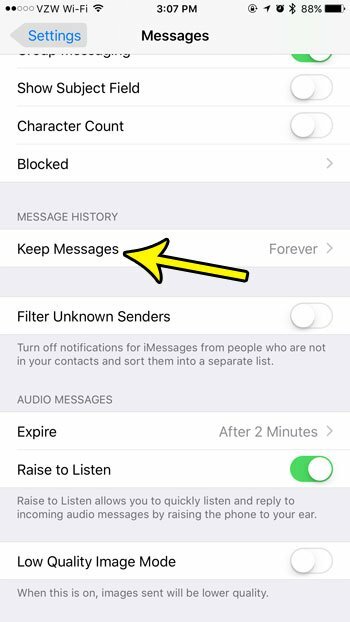 Note that if you are lowering the amount of time that your iPhone waits before deleting text messages, then completing these actions will cause you to lose any text messages that are older than the specified time. Be sure to save any picture messages or information that you need before you choose to delete those older messages. Step 2: Select the Messages option. Step 3: Scroll down and touch the Keep Messages button. Step 4: Choose the amount of time for which text messages should be kept. Step 5: Tap the Delete button to delete any messages that are older than the amount of time you selected. 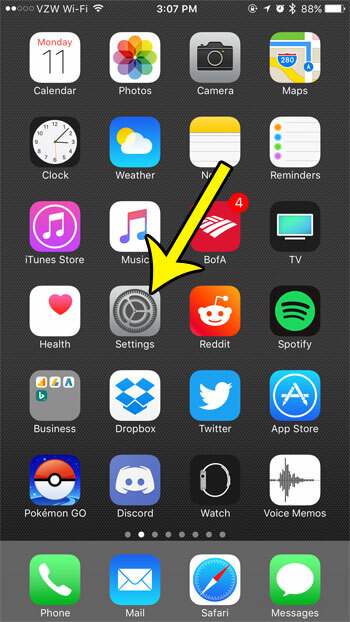 Are you looking for ways to clear up space on your iPhone by deleting unnecessary files? Read our guide to deleting iPhone junk for some ideas on place to look on the device which can give you back some of your storage space.